On the surface BetOnline.com seems like a new sportsbook but the brand has far more experience. Tell us about some of the people behind the team at BetOnline and what affiliates should know about the stability of the company. We’ve been in the sports betting business for 21 years, online for about 11 (first as BestLineSports, acquired the name BetOnline a few years ago). We are privately funded by two very experienced shareholders, one from a traditional bookmaking background and the other from online bookmaking. We see more sports action than the entire state of Nevada. What made you decide to join the team at BetOnline? I realized it was the next logical move in my career. After working in the gaming industry for most of my life and having some experienced working with affiliates in the online adult industry, I wanted to join a company that was open to new ideas and where my experience and education would be fully utilized. I found the Affiliate Manager position within BetOnline Affiliates offered me the chance to leverage my marketing skills and business spirit to make a significant impact to BetOnline’s business. 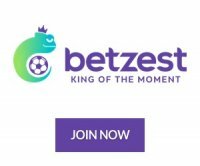 What should players expect when they join the BetOnline sportsbook? We have good bonuses for our players. Two of our most popular promotions are the Better Bonus Guarantee AND the Lifetime Bonus Guarantee. Our players get a bonus up to $900 on every deposit. Is the casino an important part of the income stream of the sportsbook or is it only a complimentary feature? Yes, the online casino is a very important player in our company. Not only does it attract many different types of players but it is also used as a great cross selling tool. What percent of your players are using the mobile sportsbook? Our mobile platform is new, but solid. About 20% of our players are using our mobile Sportsbook and we are seeing growth every day. How big do you think mobile sports betting will get for the entire industry? No doubt it is going to be huge. We are excited about mobile marketing and believe it can bring a lot to our business. More and more people are walking around with minicomputers in their pockets, right now there’s more mobile devices than laptops, so is definitely the future of online gaming. What are some of the plans or new features affiliates and players can expect to see from BetOnline, or is this top secret? Tons. We’re working on super cool mobile apps that are awesome for players. Also: Video will be huge for us in 2011 and we will DOUBLE affiliates conversions. Luis Poveda works alongside Simon Eaton and both are very experienced in the online sportsbetting industry.